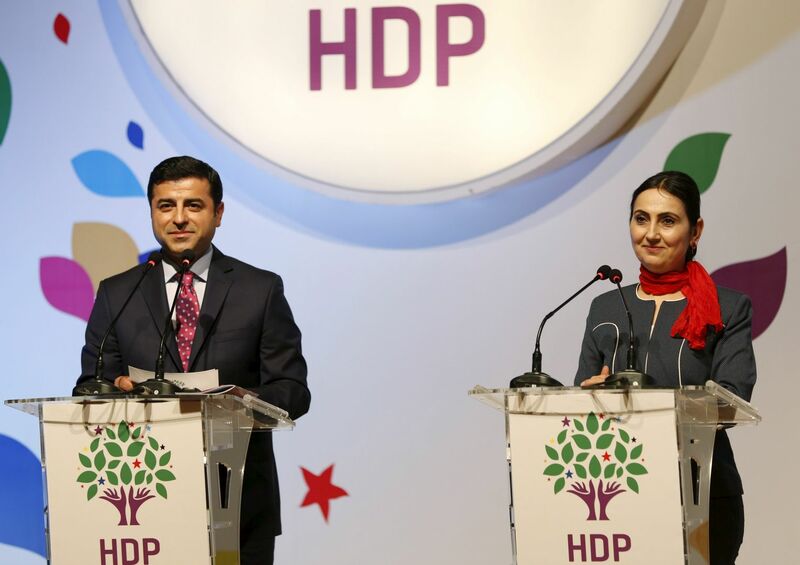 Twelve deputies, including two co-leaders, Selahattin Demirtas and Figen Yuksekdag, of the People’s Democratic Party (HDP) were arrested and detained by Turkish authorities in the early hours of Friday in the cities of Diyarbakir, Van and Bingol among others. 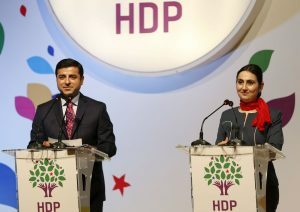 The reason for their arrest is unclear but the NTV television channel stated that Demirtas and Yuksekdag are accused of spreading propaganda for the outlawed Kurdistan Workers Party (PKK.) Semi-official Anadolu news agency reported they have failed to answer an official summons to testify in a counter-terrorism investigation with Demirtas accused of provoking violence in deadly protests in October 2014. Few hours after the party’s leaders were arrested in the town of Diyarbakir, a car bomb explosion went off close to the police station where they are being detained. The provincial governor is holding the PKK responsible although they have not claimed responsibility. Civilians and police are said to be among the casualties. HDP is a pro-Kurdish party with 59 seats in the parliament making it the third largest bloc. The party has often been at odds with the government as officials accuse it of collaborating with the PKK even though it denies it. Authorities have announced that a police search of HDP’s headquarters began on Friday. Critics say the latest crackdown on the opposition is geared towards satisfying President Erdogan’s aspirations of amending the constitution but Ankara argues that it is part of investigations of the failed July 15 coup allegedly led by Fethullah Gulen. Meanwhile, the internet has been drastically slowed, limiting access to social media and other information sharing platforms.